We’re privileged to have both a Chassis and Stationary Dyno on-site, which allows us to replicate problems under real-world conditions, and calibrate diesel engines for optimal performance. Running the Dyno (often 5 or 6 times) completes the process that starts in our overhaul repair bay: breaking in the engine, seating the rings, and running a full power check before getting the truck back on the road. 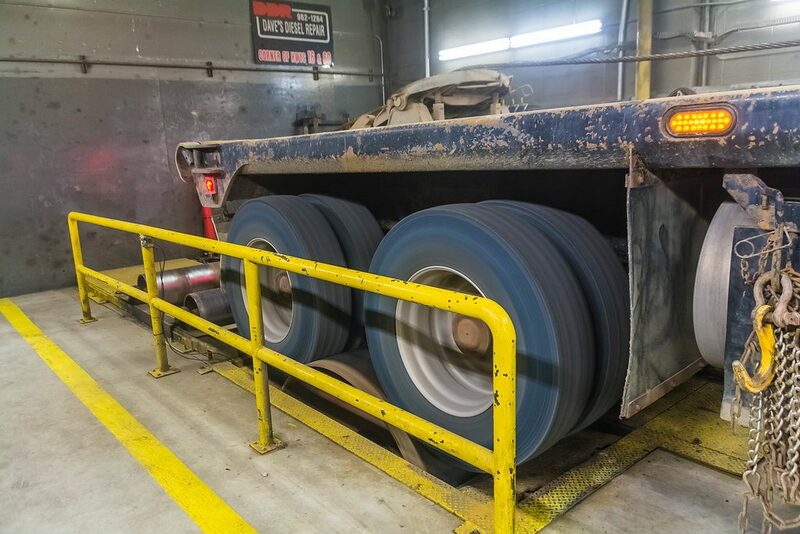 With our Chassis Dyno, we’re able to “drive” the truck like it’s going down the road, applying load to the tires and repairing and tuning as necessary. If we only have an engine and no truck to house it, then we run it on our Stationary Dyno, which hooks the engine up to a flywheel and supplies air, exhaust, coolant, fuel, and more to replicate what the engine will function like once it’s actually in a truck. Whichever way we tune and calibrate your engine, you can rest assured that our in-house Dyno services will get you back on the road as soon as possible and running at maximum performance.